Each year the Naples Free-Net issues Distinguished Service Awards to volunteers who have made unusual personal contributions to the organization. We opened the nominations to all members of the Naples Free-Net and we were extremely pleased with the members’ participation and are asking you to do so again. 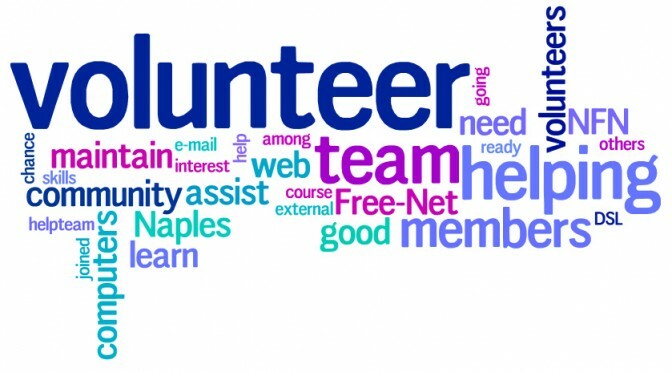 If you know of a volunteer who deserves special recognition for the year 2013, we would appreciate it if you would fill out our award nomination form online . All nominations must be submitted by January 31, 2014 Successful nominees will be recognized at our annual meeting on March, 10th, 2014.